The ability of the Amazon rainforest to absorb greenhouse gases from the air has sharply decreased, according to a new scientific study published by the journal Nature on Wednesday. International team of over 100 scientists who participated in the study suggests that the most probable reason for this sharp decline is the climate change and drought, and because of that more and more trees die young. Until recently, the largest tropical forest in the world was taking huge amounts of carbon dioxide. Through it the plants grow and develop, and that release it when they start to rot or burn. 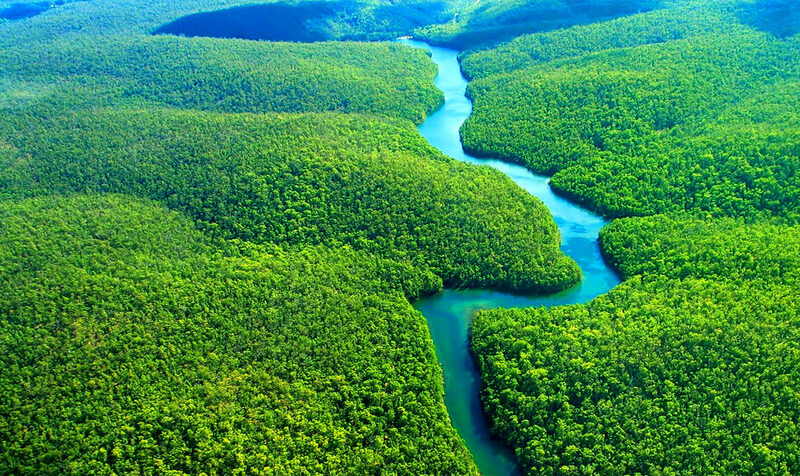 The report assumes that the essential role of the Amazon in the fight against global warming is already questionable. “The growth of the forest remains constant over the last decade. But at the same time the forest lives faster – trees grow fast and die young” , said the lead author of the study Roel Brin from Leeds University told according to the findings in study. “The net amount of carbon dioxide absorbed by forests has been significantly reduced,” says Brin. For the first time carbon emissions caused by human activity in Latin America exceed the amount of carbon dioxide the Amazon forests can absorb. They however explain that it is not clear whether the decline will continue over time and whether this trend in observed tropical forests in the Amazon will be repeated in other forests – such as those in Congo and Indonesia. The findings are surprising because some theories suggested rainforests grow better thanks to the carbon dioxide released by human activity with fossil fuels, which acted as a kind of fertilizer to the trees. Another explanation, which scientists argue is that the carbon dioxide emissions from human activity are accelerating the growth – push them to grow quickly, but die younger. If this trend continues, species in tropical forests in the Amazon may change. Emerging tropical lianas or vines may become predominant there. Fast-growing trees and outside tropical forests often have a shorter life expectancy. They usually develop less radical density and are probably more vulnerable to attack by insects and pathogens.